Socioeconomic characteristics and prospects for upward mobility differ across various groups in a population. Generally referred to as social stratification, these socioeconomic patterns are partly the consequences of prior processes associated with fertility, mortality and immigration. Stratification then in turn influences the fertility, mortality and immigration of the next generation of individuals. 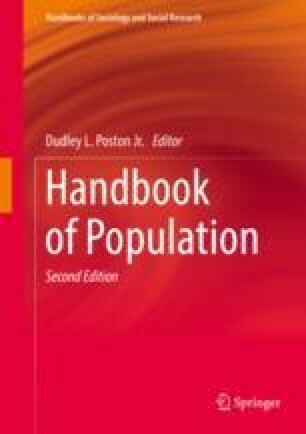 The demography of socioeconomic differentials thus plays a pivotal role in the evolution of the structure of a population as well as in its level and patterns of inequality. This chapter reviews demographic research in this area. We survey major methodological studies which often investigate entry and exit processes or other mobility processes that may be time-dependent. The findings from recent and other notable studies are also reviewed in regard to contemporary social stratification particularly as it relates to the effects of ascribed characteristics such as social class origins and race/ethnicity versus education which is an achieved characteristic.